DNA testing plays a significant role in all part of the society from courtrooms to law enforcement agencies for establishing blood relationship. It has been the most reliable method of uniquely identifying an individual. There are various private labs providing their DNA testing services in India but DNA Forensics Laboratory Pvt. Ltd. is only lab confidante and authentic enough to provide its services to law enforcement agencies and various courts. 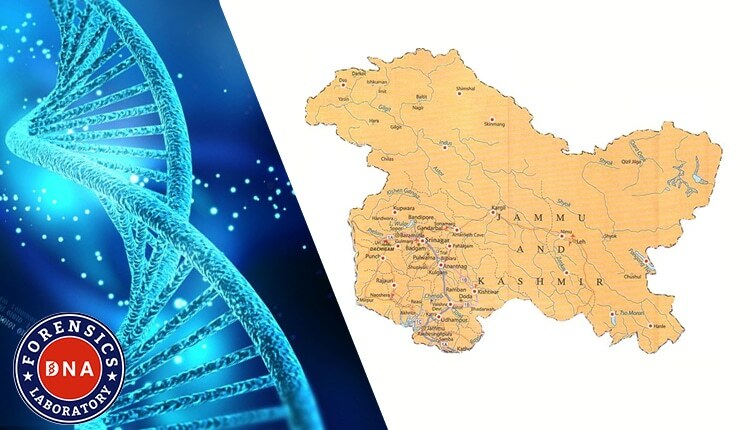 We have recently performed Legal DNA test on the approval and recommendation of the senior superintendent of police in sopore, Jammu & Kashmir, where we compared DNA profiles of “unidentified body” tissues, i.e. tooth, sternum, and ribs with admitted samples, i.e. Hair & blood to ascertain their biological relationship. DNA profiling technology has unambiguously resolved many legal issues and helps in identifying human remains and in criminal investigations for several reasons through life. It follows the laws of Mendelian inheritance. Human remains are exposed to a myriad of environmental challenges, as occurs with all forensic biological evidence. DNA Forensics Laboratory Private Limited offers DNA testing on cremated remains. Our DNA test on cremated remains provides the possibility to include or exclude the presence of DNA in the ash sample provided. When it comes to extracting DNA from bone fragments of the deceased who was cremated it is essential to understand that the chances of success are low. Extreme heat tends to destroy the body’s entire DNA, although in some cases the DNA is spared by oven heat. To expand DNA typing capabilities on such challenging samples, we underway the efforts to extract more DNA from these materials, repair damaged DNA to generate more viable templates, improve PCR conditions to overcome troubling stochastic effects and develop alternative protocols for enhancing the sensitivity of detection. DNA Forensics Laboratory Pvt. Ltd. is the only private DNA Testing Company in India, who provides its services to law enforcement agencies. We always need the order from any authorized authority to perform legal DNA tests. For further queries related to Legal DNA Test, please contact us at +91 8010177771 or WhatsApp: +91 9213177771 and schedule an appointment.